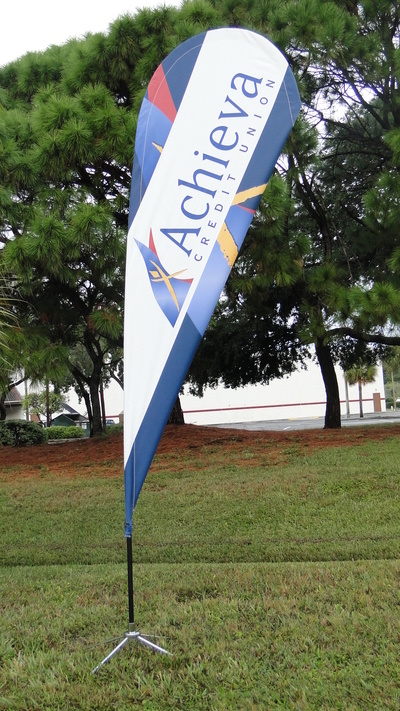 Make an instant impression with promotional message flags! 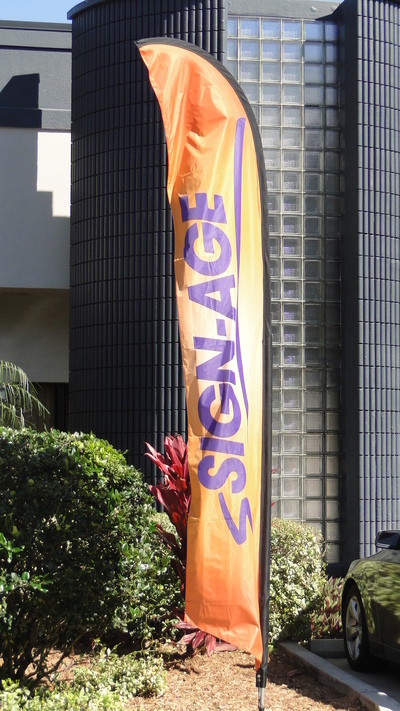 Display these dynamic, high-impact flags outside of your business or special event to command the attention of everyone who passes by. 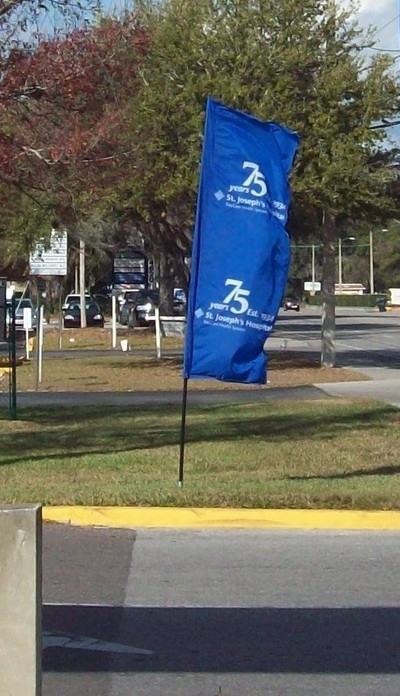 Sign-Age can customize flutter flags with your unique brand message or promotion.